Dr. Kesh received her medical degree from the Weill Medical College of Cornell University, where she was indicted into the Alpha Omega Alpha Honor Medical Society. She completed an internship and residency in internal medicine at the New York-Presbyterian Hospital/Weill Cornell Medical Center. This was followed by a year of research in the Infectious Diseases division at Memorial Sloan-Kettering Cancer Center and a fellowship in infectious diseases and international medicine at the New York-Presbyterian Hospital/Weill Cornell Medical Center. Dr. Kesh is board certified in internal medicine and infectious diseases. She is board certified in both internal medicine and infectious diseases. 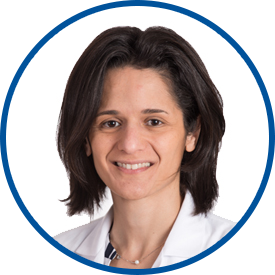 Dr. Kesh is affiliated with White Plains Hospital and Greenwich Hospital, and maintains an academic appointment as instructor of clinical medicine at the Weill Medical College of Cornell University. Dr. Kesh has been listed in the Top Doctors editions of U.S. News & World Report, New York Magazine and Westchester Magazine. Dr. Kesh is an excellent physician and the care she has for her patients is evident from the moment she walks in the room. I have full confidence in her ability to manage my care. Dr. Kesh is a great, professional doctor and care provider. Dr. Kesh is very kind and always listens to all of my concerns and answers any questions I might have. She is very genuine and caring. Dr. Kesh is very attentive to my health concerns and questions. She is always on top of age relevant health issues that might occur as well as suggesting any vaccinations. Dr. Kesh is the best, I can say only good things about her.